Saint Bernard was born in 1090 near Dijon, France. He joined the fifteen-year-old monastery of Cîteaux in 1113. 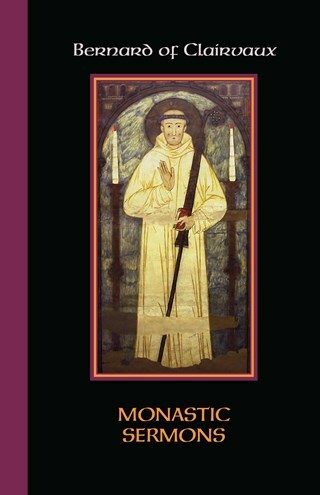 In 1115 he became the founding abbot ofClairvaux Abbey, whence his name, Bernard of Clairvaux. Saint Bernard was a gifted and prolific writer of theological treatises, scriptural commentaries, letters, and many sermons. The sermons in the collection published here, styled Sermones de diversis (sermons about various topics), lack the specific point of departure that characterizes his other sermons. That is, whereas the sermons on the Song of Songs are a verse-by-verse commentary on that biblical book and his Sermons for the Year follow the liturgical calendar, this collection of sermons deals with his various pastoral concerns. Since Scripture is always Bernard's point of departure and inspiration, the sermons often read like a Scripture study, but what comes through equally is the voice of an understanding spiritual father who is a masterful student of Scripture, biblical language, and the needs of his monks. Daniel Griggs has an MA in medieval studies and a PhD in Byzantine theology, both from the University of Leeds. He teaches Latin at Butte College near Chico, California, and translates medieval texts from Greek and Latin. He is currently translating Aelred of Rievaulx's sermons from the Reading collection, from Gaetano Raciti's critical edition in Corpus Christianorum, Continuatio Mediaevalis 2C. "Monastic Sermons reveals Bernard, who was well-studied in literature and poetry, as a clear and lively writer with an unimpeachable knowledge of Scripture. Although written originally for monks, Bernard's use of Scripture, the wealth of his knowledge, and the clarity of his thought and language as presented in Grigg's excellent translations makes this collection an excellent source of spiritual reading for any Christian, and a superior example of the art of writing sermons for clergy seeking to learn or hone their own skills." "This volume will be of interest to many readers, those who are interested in St. Bernard's thought and writing, and also to monastics who wish to learn from his spiritual teaching."